Camping gear doesn’t have to be all about utility. Sure, you have basic camping checklist covered, but why not treat yourself to some gear that’s pretty awesome and fun to use? This camping gear list isn’t full of things that you necessarily need to make it through a camping trip, but it definitely has some cool stuff you never knew you wanted. Next time you get ready to set up your campsite, bring along some of this gear for the ultimate camping experience. With camping hacks like these, you’ll enjoy the great outdoors like never before. Check out these 25 additions to your camping equipment list and you’ll wonder how you ever lived without this badass gear. 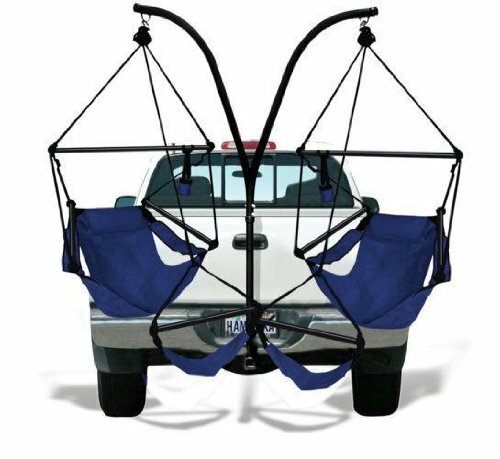 If you take your truck with you on your camping trips, grab these cool camping chairs that fit right into your trailer hitch! This is great if the camping spot doesn’t have trees to tie your hammock to. Each seat weight limit: 250 lbs. You can create this one on your own or buy one like it online! If you’re interested in the homemade version, find the full instructions here. Why waste that valuable body heat? Snuggle up to your significant other and make the camping experience extra enjoyable. Besides, you’ll be needing all that warmth as you lay in your 2-person sleeping bag outdoors. The Tentsile Trillium is an innovative triple hammock that lets you set up suspended campsites in no time at all. Lounge along riverbanks, relax in lush forests, bathe in energizing sunlight and bask in gorgeous starlight, with zero footprint left behind! Our 14-lbs. 3-person hammock supports up to 880 lbs. Anchoring to 3 strong trees with 3 powerful ratchet straps, Trillium is secured in place by heavy-duty industrial webbing-giving you a comfortable night's sleep right over the cold hard ground. Trillium's 92-sq. foot triangular layout is perfect for 3 adults or 2 adults and 2 kids and is available in our water- and UV-resistant signature apple-green fabric floor-as well as a heavy-duty black mesh netting for maximum summertime ventilation. Keep your campsite up off the ground and away from critters by rigging it up between a couple of trees! For more about hammock tent camping, click here. Don’t sleep on the hard, uncomfortable ground and make a soft tent floor! 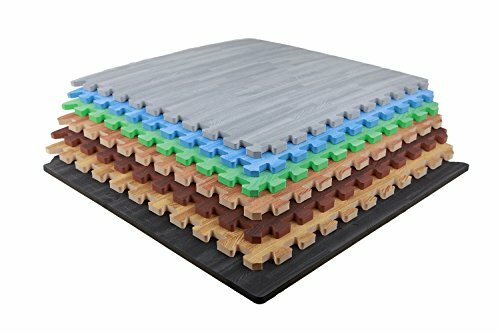 Put down some of these cheap and easy tiles for ultimate camping comfort. You don’t want to get lost as you go deeper into the woods. Mark your trail with a clear conscience by using this environmentally-friendly trail tape! These towels are less bulky, more absorbent, and dry out quicker. Take these instead of your old-school rags for an easier clean up at camp. Even towels are evolving for better camping gear. Turn your campfire into a gourmet kitchen with this easy-to-use camping food tool. Check out this delicious recipe you can cook with your pie iron/panini press. 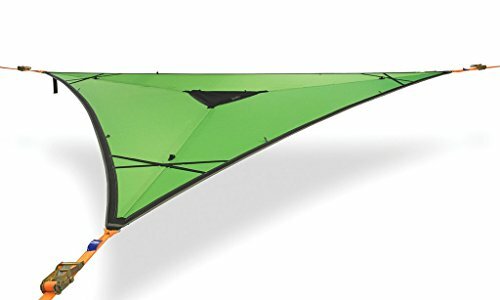 Stay up and away from the hard ground and campsite critters with this tent. It looks dangerous but this teepee style tent can hold two people with its durable buckling system. Camping multi-taskers are a great thing. They lessen your load and work double-duty for your campsite convenience. This portable stove and USB charger provide you with two top camping needs – to keep yourself fed and your phone charged. This lightweight sleeping bag is easy to keep around as a spare when your top concern is pack weight. This camping gear can easily fit into a person’s pocket. Heat is very important in the cold outdoors. This lightweight fire pan acts as a mobile fire pit, making fire-starting easy no matter where you are! No one really wants to stand on a dirty floor while they’re trying to get clean! Use this miniature deck to store your toiletries and then break it out for maximum camping shower sanitation. Cold, wet feet are a serious downer on camping trips. Break out these socks and keep your feet dry come rain or shine. You don’t want to bring something that can easily shatter when you’re out camping. These break-proof cups are campsite-friendly, as they are easy to use, wash, and transport. No longer do you need a bulky caddy full of giant bottles. This handy shower caddy lightens your load when it’s shower time (this would also come in handy at the gym showers). No more hunching over a campfire. This grill sits on a tabletop, making it incredibly convenient and easy to use when it comes time to rustle up some grub. Who knew a big jug and a plastic faucet could make such a handy camping shower? This item is completely mobile, making for optimum convenience. Find the full instructions here. This solar spark lighter is a great backup to have around in case your matches get wet or your lighter runs out of fuel. Plus it’s just fun to light stuff on fire using the sun. Who says you always need electricity for toasting bread? This toaster uses the campfire to perfectly toast your bread for your campsite breakfast. Another ultra-convenient tent. Here’s a solution when you’re reluctant to put up your tent on the ground. No matter where you end up, you’ll have a perfect spot for your tent. This wash station makes campsite meal clean-up incredibly easy and convenient. You can also convert this into a stool by removing the basin and replacing it with a polyester canvas. Looking for a nice rack to organize your cooking ingredients? If you’re a campsite chef, you’ve got to get this easy and incredibly useful hanging pantry. We all treasure our technology, like mobile phones and GPS gadgets are an essential part of our survival gear. So it only makes sense to ensure its safety in more extreme camping conditions! Check out this extreme phone case. This collapsible kitchen sink brings the ultimate convenience of home to the campsite. You’ll wonder how you did dishes before you had it. It’s nice to stick to the traditional camping ways, though we can’t help but adapt to modern conveniences. These amazing innovations level up your camping experience. Spend some time in the outdoors in style! Do you have more amazing camping gear to add to this list? Share it with us in the comments section below! Some really great ideas, the folding sink is brilliant! Not really camping like a genius. Most of this is useless and overpriced camping novelties. These are camping suggestions for those who don’t like camping. Find a new hobby. How about the $260 table grill!! That shower deck! I need it! Take the plastic lid from a tote and turn it upside down and stand in it. Yea! Hammock tent looks exactly like the image i usually get each time i create a mental picture of my desired tent. It’ll keep you safe from virtually all potential harm. As if that’s not enough, it’s more like a home. I’ll go for it. Hope it’ll be nice.